Applications by Design, Inc. (ABDi) is a software development company that specializes in highly customizable community management and access control solutions for gated communities, condominiums, high-rise apartments and country clubs throughout the country. ABDi is the leader in the industry because we consistently reach our goal of exceeding the expectations of community managers, Board/committee members, security professionals and residents! Frequent security officer turnover is a fact of life in a gated community. This attrition, coupled with the reality that many guards have limited computer skills, can pose a major problem. ABDi's software is extremely intuitive and easy to learn. In fact, the training time required for an entry level guard is measured in minutes, not days or even hours. It doesn't matter how great a product is if it doesn't work consistently. In a gated community, if the security software or access control system isn't working, the security guards and community manager take the heat. ABDi's products are optimized to ensure maximum uptime. We understand that each community is unique. An off-the-shelf product might work for some, but not all. Therefore, ABDi will customize our software to suit your community's specific needs. ABDi is the only software provider in the industry that offers customizable solutions. All custom programming is done by our in-house staff. ABDi's software was developed by a former security guard. ABDi serves a nationwide client base of 900+ communities ranging in size from a few homes to 18,000 residents and one gate to 30 gate locations. Our staff's average tenure with ABDi is 12 years. This broad experience allows us to anticipate and avoid potential problems to complete even the most complicated installations quickly and efficiently. Every ABDi system is engineered based on the community's specifications. Since community wants and needs change frequently as a result of new priorities and circumstances, ABDi offers numerous useful modules that can be included in the initial system installation or added in the future. Changes made in the CMS database are instantly available at every location. ABDi can network your system via broadband internet service, fiber-optic cable, hardwire or wireless mesh. SERVICE Our existing clients attest to the fact that ABDi's service is the best in the industry. 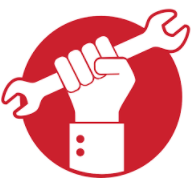 In most cases, system repairs are made without the need for an onsite service call. Emergency technical support is available 24/7 from an experienced computer engineer. 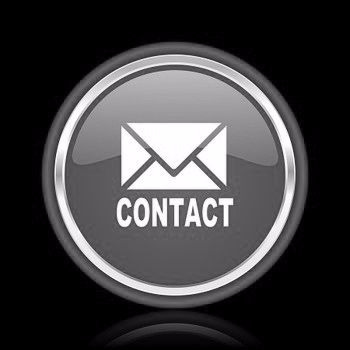 No automated email or call center responses! "I cannot speak highly enough of the integrity, professionalism and capabilities of ABDi's staff. I recommend them and their software system without hesitation." "We entered into a contract with ABDi to convert our system over to their system. Their conversion of a "messed up" system to their system was unbelievably smooth. Since that time, we have not had any problems with the ABDi system. The customer service is outstanding. We highly recommend ABDi." Thanks for filling out the form! We will get in touch with you as soon as possible!